The language of this book is quite simple and unremarkable. However, the plot was captivating. I found myself quickly caught up in Dora's story and in the issues of the day, from a global women's movement to the everyday happenings in a sleepy town in Nova Scotia, Canada. In many ways, the reader is able to identify with and become attached to Dora, the protagonist. The reader walks through many experiences with her, is revealed her private journal, tastes her pain and happiness. Yet, Dora still, somehow, remains a bit of a mystery, a shadow in her community, simply floating through life. She is a interesting character, but not overly complex. At certain moments in her life, I felt great regret for her. She is an avid reader, reading such books as Pride and Prejudice and Wuthering Heights. In many ways, her story reminded me of the protagonists in these books. The reader is made aware what an unpleasant path the protagonist is on, knowing a better path exists, but can only observe as she carries along her course. Yet, the reader persists and watches the protagonist come through her trials one way or the other. Dora lives a hard life, but still a good life. At first, I thought this was a book for women. Everything about it targets a female audience. In many ways, it is. However, as I read, about half way through, it hit me that the book is about women. I'm an not an expert on the suffragette movement or the plight of women in the early 1900s, but, as far as I can tell, the author does a remarkable job of informing the reader about what it was to be a woman at that time. 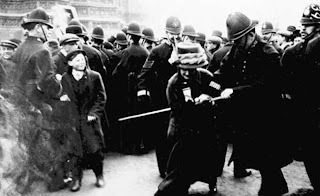 I was often exploding with frustration, ready to shout at the page, for how silent the women were, how submissive they were to men, even if it put them in harms way. For instance, birth control of any kind was illegal at the time. 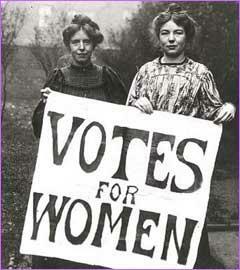 Women had little choice but to have child after child or sneak to the midwife for a baby-preventing brew. Condoms were considered items for whores. Strong, uncompromising women would take a beating from their husband or turn a blind eye when he sleeps with another woman. My blood boiled when women were dismissed as being neurotic or hysterical, lacking enough sense to know what's good for them. The women in this novel were caught in this strange time when women were beginning to learn about their voices and were at long last being heard. The book does not directly discuss the suffragette movement, but rather how the movement began to affect people's lives and mentality even up in the sleepy town of Scots Bay and through a issues as ordinary as midwifery and child bearing. All told, I thoroughly enjoyed the book. I was surprised by its substance and was even sad as it concluded (despite the pleasant ending). I would recommend this novel, but certainly encourage the reader to keep reading if they are discouraged by what initially seems like kitsch! The Birth House is the story of Dora, a 17 year old girl in the early 1900s in Scots Bay, Nova Scotia, Canada. She is the only girl out of 6 boys. Due to circumstance, she moved in with the local mid-wife and begins being taught in the ways of midwifery. The small community of Scots Bay encounter a number of events, which bring change to this town of traditions, not the least of these events are WWI and the suffragette movement. The story follows Dora as she grows into womanhood and struggles to make her way in the town of her birth in changing times. 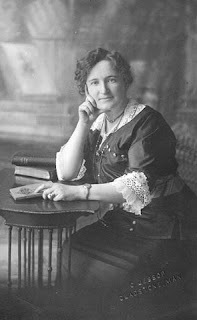 Ami McKay was born and raise in rural Indiana. She completed an undergraduate degree in Musical Education and Master's degree in musicology from Indiana State University. After completing her degrees she moved to Chicago to become a music teacher at an inner city high school. During this time she began writing, but her busy life as a teacher and single mother prevented her from being able to focus on her writing. She moved to Scots Bay, Nova Scotia in 2000. Fortunately, due to long delays in her immigration process, she was at last able to focus on her writing. 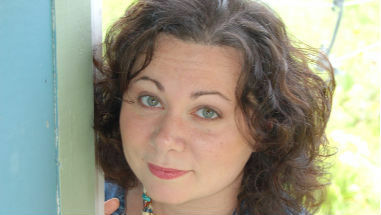 She began by writing thank you letters to people she didn't know, which resulted in her making an appearance on Oprah. She eventually began writing and producing documentaries for CBC and doing other freelance work. In 2003 she won an apprenticeship in the Writers Federation of Nova Scotia, which allowed her to work on The Birth House. 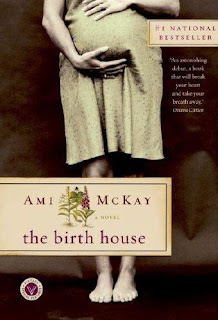 The Birth House was her debut novel, being published in 2006 and becoming a number one Canadian best seller. 1. Dora. I found myself quite caught up in Dora's story. She was an endearing character, for whom I hoped the best. I wanted to fight with her in her trials, was frustrated with her when she was stuck and voiceless, and was quite pleased with how things turned out for her. 2. Miss B. This is an entirely unique character. I truly enjoyed her. 3. The ladies from away. Pure gold. 4. 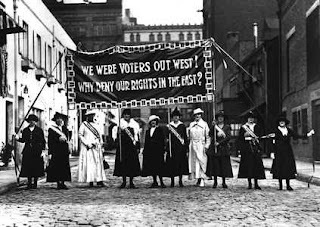 The discussion of women at the time, their rights and roles and the changing tides. Hi, I just read the Lithuanian version of the book. I liked it as well and agree with you that it's about women.